Wine has had a long history of being served as an accompaniment to food, dating back to the days when a flight of wine was often more sanitary than the local water supply! While early history might show that little thought was given to pairing particular dishes to special wines, as culinary traditions began to develop, so too did local winemaking tradition and the idea that a certain wine might very well complement specific regional dishes. 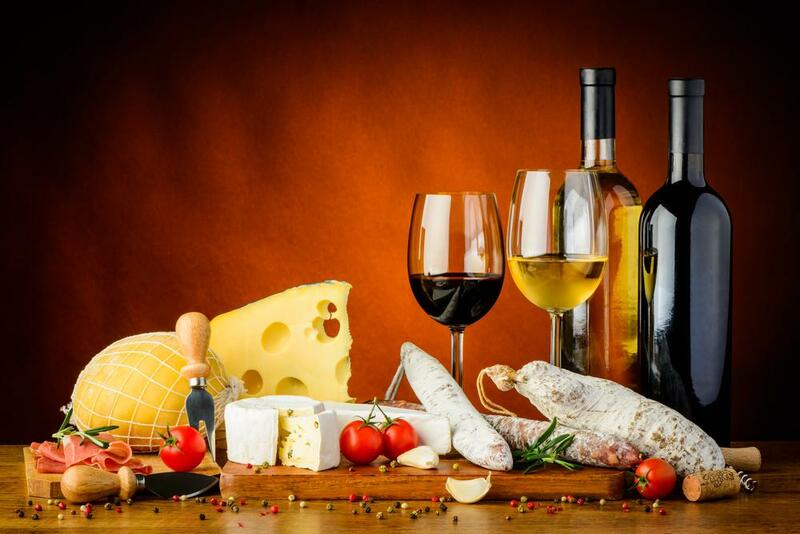 Wine and food matching is the process of pairing cuisine with wine to enhance the dining experience and this modern ‘art’ has fostered an industry of books and media with guidelines for pairings of particular foods and wine. The main belief behind the process of finding the perfect match stems from the fact that certain elements,such as flavor and texture, in both food and wine interact with each other, and therefore finding the right combination of these elements will make the entire dining experience more enjoyable. However, one cannot account for taste, which is entirely subjective – what might be the perfect match for one diner, could be a culinary calamity for another. It is therefore believed that the best way to match food and wine to cater for subjective tastes is by understanding the balance between the “weight” of the food and the weight (or the body) of the wine. For example, a light bodied wine such as a Pinot Grigio would be well-paired with a delicate meal such as quiche, salads or fish, while a heavy-bodied wine such as a Cabernet Sauvignon or Shiraz would work well with ‘heavier’ dishes such as meaty stews, steaks or a hearty lamb pie. The concept behind this pairing ‘rule of thumb’ is highlighted in the age-old adage of “White wine with fish; Red wine with meat”, which is still repeated today, however is becoming outdated due to the introduction of new varieties of wine styles such as the ‘New World’ Oak Chardonnay, which can have more ‘body’ than a light red wine.